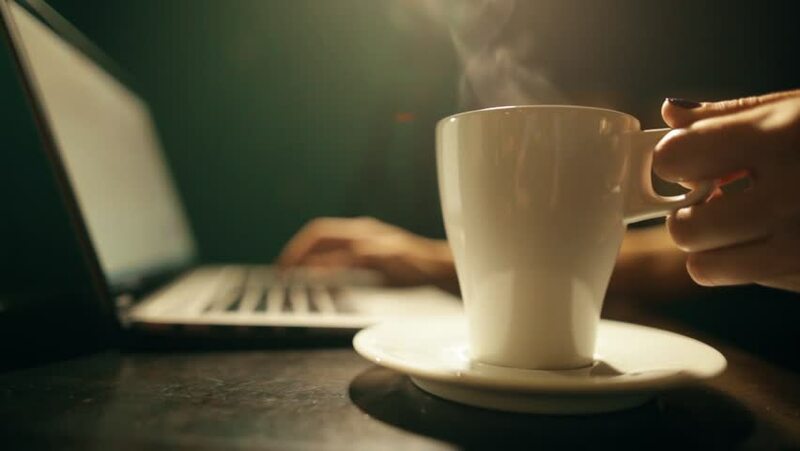 Still shot of a woman's hands typing on a laptop keyboard, and drinking a cup of hot coffee. hd00:15Still shot of a woman's hands typing on a laptop keyboard, with a cup of hot coffee near. hd00:06Dolly shot of a woman's hands typing on a laptop keyboard, with a cup of hot coffee near. hd00:13Still shot of a woman's hands typing on a laptop keyboard, with a cup of hot coffee near. hd00:08Dolly shot of a woman's hands typing on a laptop keyboard, with a cup of hot coffee near. hd00:15Teen Girl finished her work in a cafe in the afternoon. Casual Lifestyle.